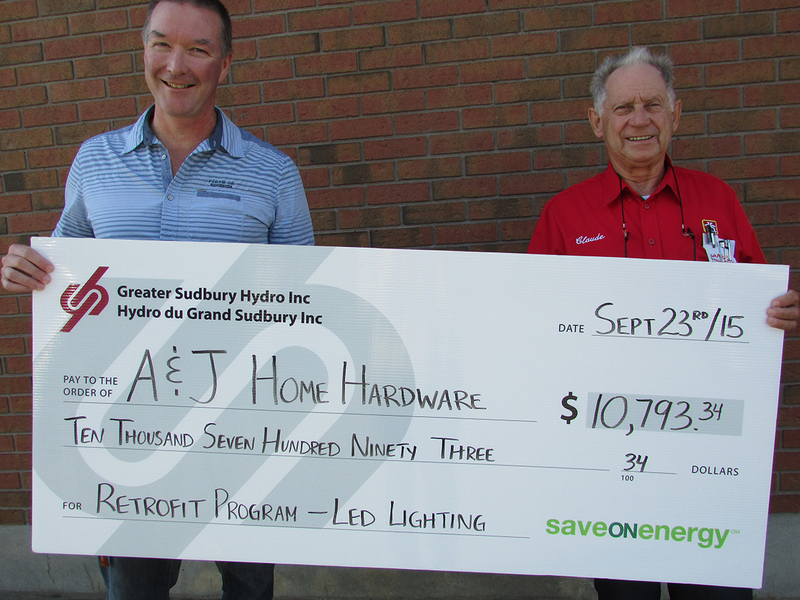 A&J Home Hardware – Greater Sudbury Hydro Inc.
A&J Home Hardware, at the Corner of Regent and Bouchard, just switched all their T8 flourescent lighting in the store to LED tubes, under the saveONenergy Retrofit-LED Lighting Conversion Program. They received a cheque for $10,793.34, and will save roughly $13,500 annually on their electricity bill. Smart Move, Home Hardware!